This month's We Should Cocoa is guest hosted by Lucy at The Kitchenmaid and she has picked coffee as the pairing for all things chocolatey. Last month's almond round up, hosted by Laura of How to Cook Good Food can be seen here. 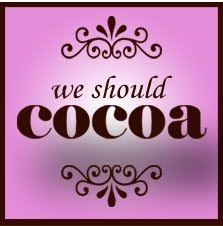 You can read all about We Should Cocoa and how to enter on the founders blogs - Chocolate Log Blog and Chocolate Teapot. To be honest with you, I squeaked a little when coffee came up. Not because I had a good idea for it. Not because I like coffee. But rather that I finally got to use these. Use these in a blog post. These caused unnecessary, unjustified and pointless heartache during the run up to our wedding. 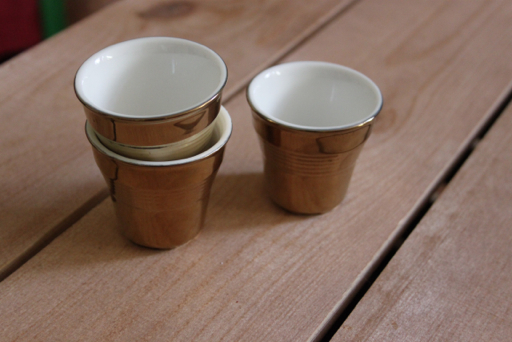 I'd occasionally get an email from Jim to say that someone had bought something off our wedding gift and I would frantically rush back a response that would say "Is it the ghetto espresso cups?!?!" (It often came out as "Is it ethe gett esppresso cips???" in my haste). No - was often the response. I don't know why I am so deeply enamoured with them. 1, Melt your chocolate in a heatproof bowl over a pan of simmering water until smooth. Remove from the heat to allow it to cool slightly. 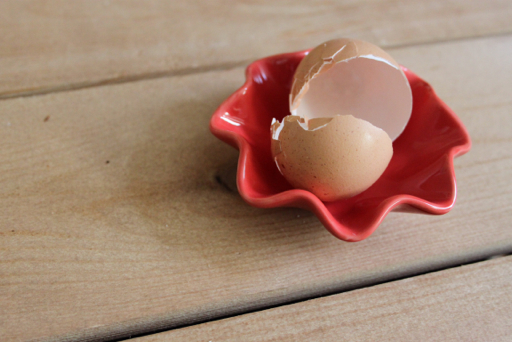 2, Whilst the chocolate is cooling, separate two eggs and beat the whites until you have soft peaks. 3, Beat egg yolks into the melted chocolate with the instant coffee, cream and salt until smooth. 4, Add about a third of the egg whites and fold in to loosen the soon to be mousse. 5, Add the rest of the egg whites and fold in gently using a flexible spatula until all uniformly chocolaty with no egg white streaks. 6, Divide this between your six espresso cups and chill for at least two hours before serving. I'm also entering this into Crunchy Creamy Sweet's Blue Ribbon Challenge - The first challenge being mousse! Thank you Lucy, I found a matching cafetiere but so far have managed not to buy it. Doubt I'll last much longer though! Lovely little recipe. The only problem is the two hour chilling ... you have to wait too long for your treat! Thank you Chris - Waiting is a pain but I think they are worth it! Oh I like a good choc mousse now and then - looks yum. I really love those cups. Thanks Phil, I'm convinced it tastes better coming out of these cups too! Great mousse recipe! You just can't go wrong with chocolate AND coffee. Yum! I can see why you love those espresso cups. They're adorable! I'll be spending the better part of my day looking for where to purchase a set of my own. Thank you for sharing - wonderful recipe!! Thank you Stephanie, the little cups are from a website called Not on the High Street, I think they are fab! 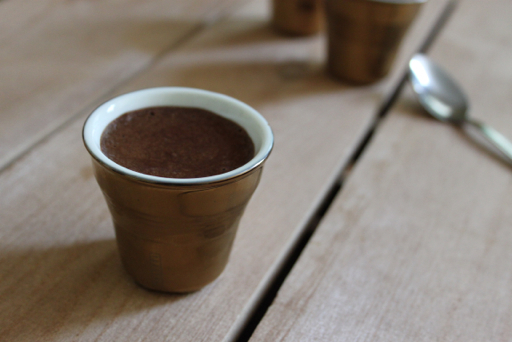 Thank you Soni, the mousse was delicious with just the right amount of coffee flavour! Mmmm, I am a total sucker for chocolate and coffee combos. :) Love your mousse! Thank you so much for participating in Blue Ribbon Challenge! Thank you Anna and thank you for hosting the challenge - I've found some more brilliant blogs! Looking forward to the next challenge! 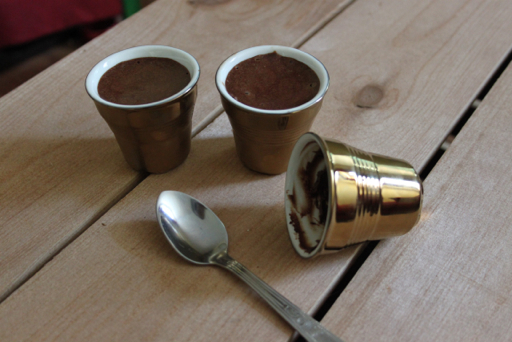 ooh these look so decadent - love the little cups and I'm definitely a fan of chocolate and coffee desserts! Thank you :) They are a little rich but perfectly sized! Sounds like a lovely mousse. I love the little cups that you served the mousse in. Thank you :) I'm glad I'm not the only one who thinks the cups are cute! Your mousse sounds heavenly. I'm almost tempted to get divorced and then re married, if you can get such lovely things as a wedding present, they are so cute, and a matching cafetiere! So tempting!